Arkham Assailants vs. Serial Thrillers this Sunday! 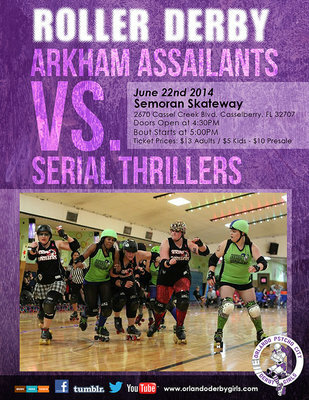 Join us at Semoran Skateway this Sunday to watch the Arkham Assailants duke it out with the Serial Thrillers!